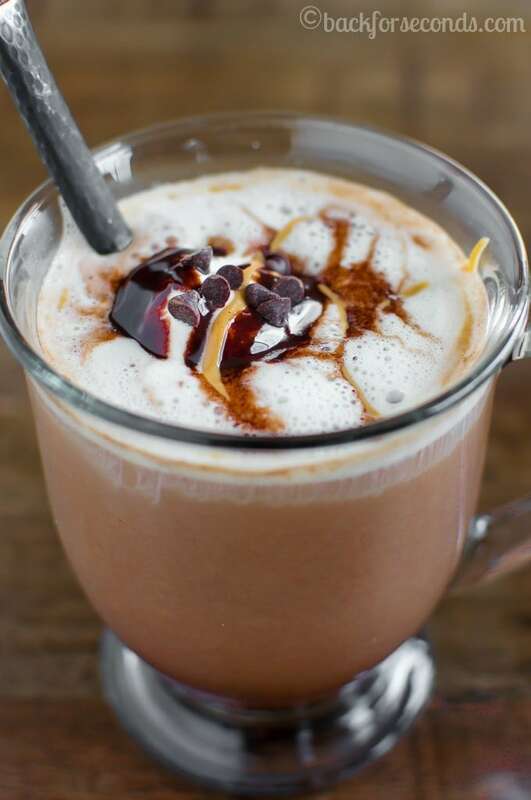 Skip the coffee house and save money AND calories by making this gourmet Skinny Peanut Butter Mocha in the comfort of your own home! You all know I love my desserts. I’ve got a pretty sizable sweet tooth. I’ll just assume since you’re reading my blog, you can relate 🙂 Now you can satisfy that sweet craving, with something uber tasty, but with fewer calories! I’ve told y’all before that I like to have a few minutes of down time with a cup of coffee while my little ones nap in the afternoon. Sometimes plain old coffee just won’t cut it. Sometimes mama’s craving for chocolate and peanut butter just won’t quit. 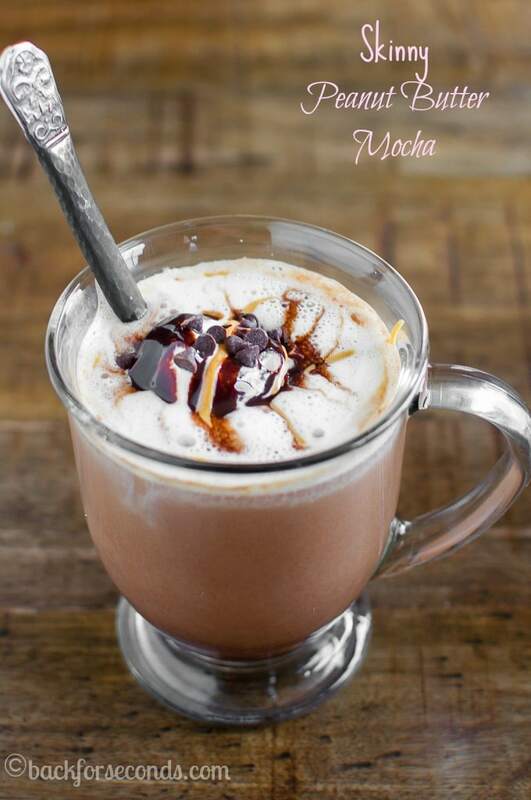 Enter this amazing Skinny Peanut Butter Mocha! I used Born Sweet® Zing™ Zero Calorie Stevia Sweetener to save some calories and still get my sweet fix. I use this all the time to sweeten my tea, coffee, even oatmeal! It’s made with only real ingredients, has no funny aftertaste, and zero calories. Boom! 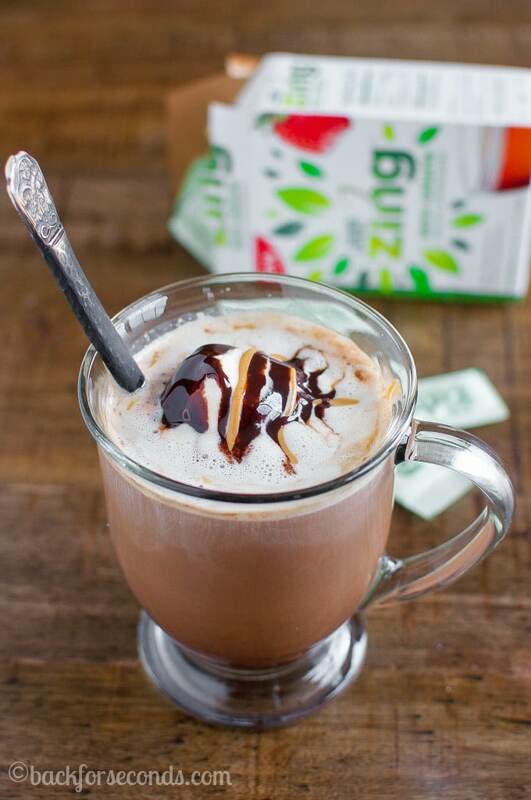 And it makes this gourmet drink taste like a hot chocolate/peanut butter cup/coffee dream come true…and it’s low calorie!! 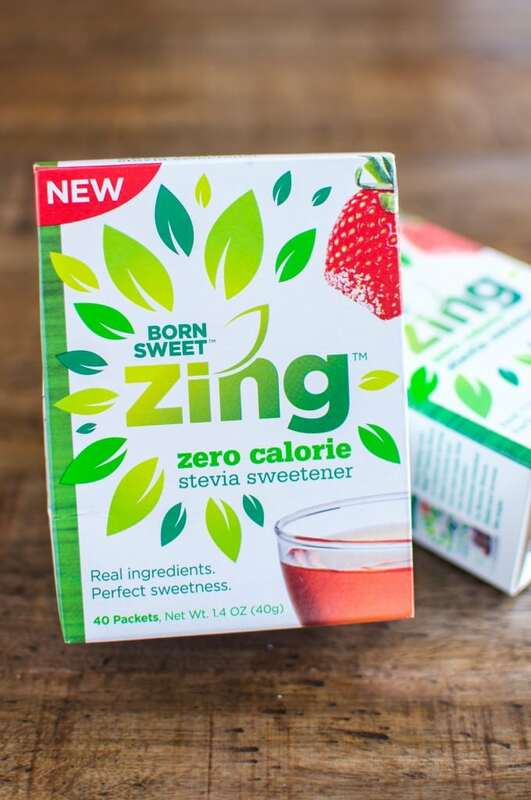 Have you tried Zing™ Zero Calorie Stevia Sweetener? If not, you need to give it a try! It’s such an easy, natural way to save calories while satisfying your sweet craving! You can get a Free Sample of Zing™ Zero Calorie Stevia Sweetener here. Check here to find Zing™ products in a store near you! I am craving one just looking at this drink! What a delicious combo! Coffee, peanut butter and chocolate always go great together! Yum! Peanut butter mocha?! You’ve lured me in with this one! Without a doubt, I will be making this at home. I’ve never had Mocha with peanut butter – can’t wait to try this! I love to have some coffee while the kids are napping or right before I pick them up from school. 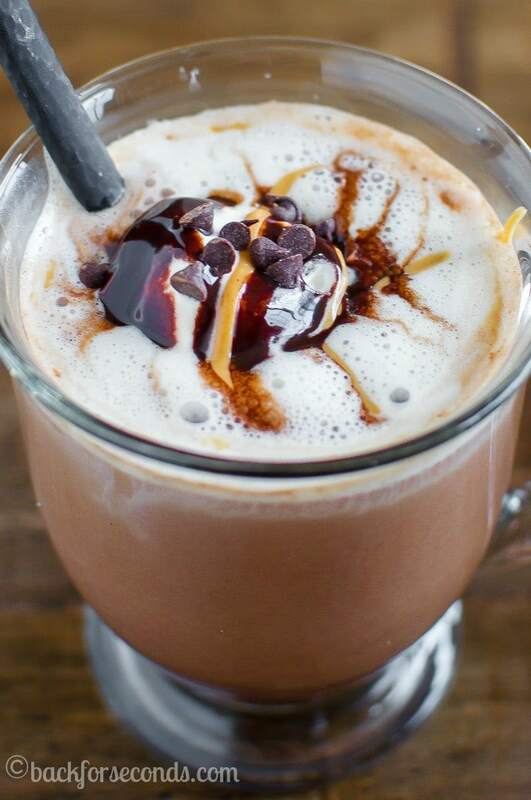 This skinny mocha would be perfect for those days. It looks and sounds amazing! Yum!! Thanks for the recipe. Looks like it would be very tasty and i like the picture.